People today are learning online more and more, and their expectations from online education have changed. Are you ready to reach them all? You can be, with one easy-to-use platform. Millennials are increasingly learning via mobile devices. 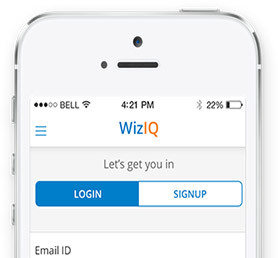 WizIQ provides you with your own native mobile apps for iOS and Android that work on phones as well as tablets. 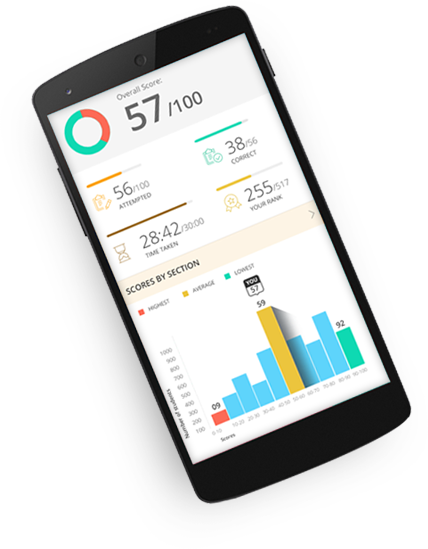 You can deliver a complete mobile learning experience to your learners and take advantage of mLearning’s many benefits. 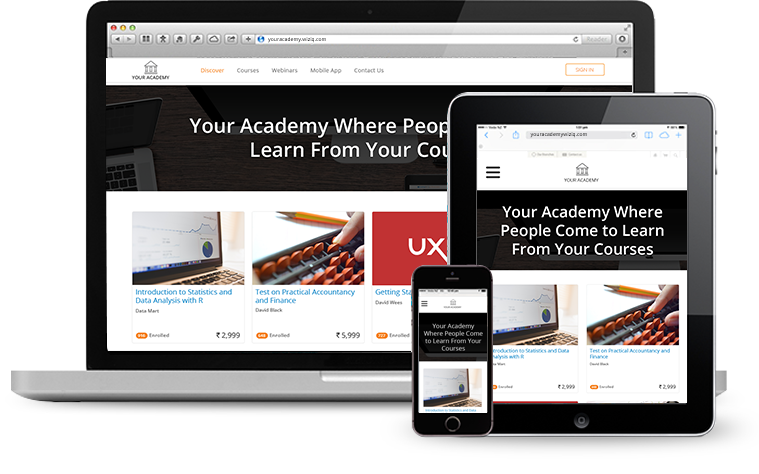 Online learners want more than just static content they want to learn from live instructors. With audio-video communication along with other collaboration tools, WizIQ Virtual Classroom lets you interact with learners in real time. In today’s world the content and curriculum changes fast - your learners want to learn new things, instantly. 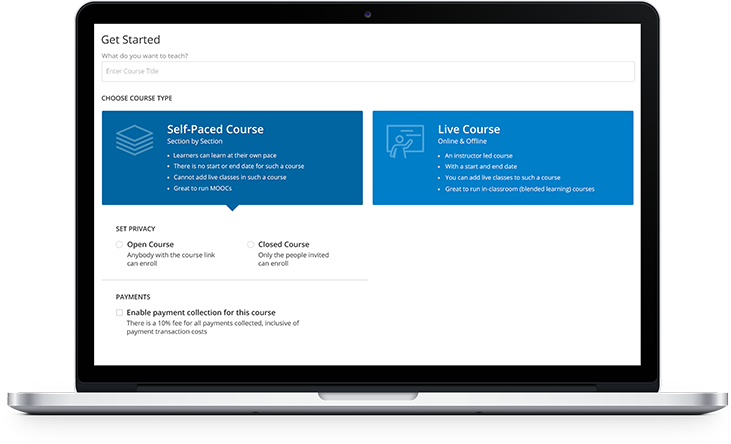 WizIQ provides you with all the tools that are intuitive and easy to use so you can create courses and deliver at the pace your learners want to learn, wherever they are. 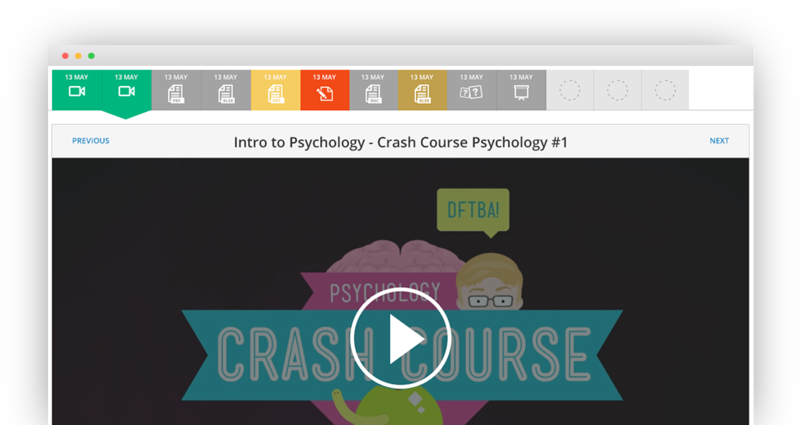 People today often use online videos for learning. No wonder video streaming websites are so popular. WizIQ helps you make your video content available while ensuring its security with seamless, HD video streaming. Learning is about gaining knowledge to get where you want to be. 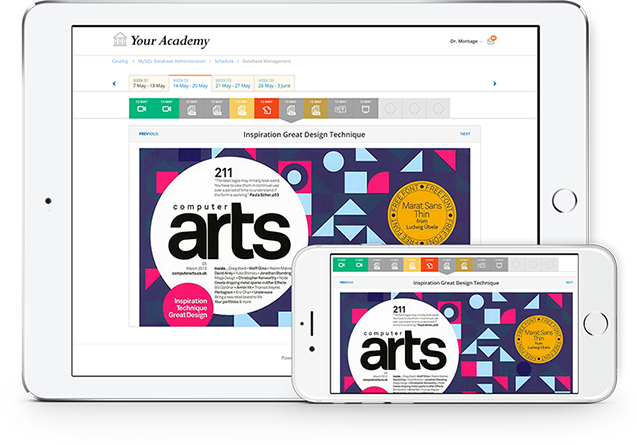 To help you verify learners’ concept mastery, WizIQ allows you to design your own tests to suit your needs. Instructors learn from insights as much as learners do. 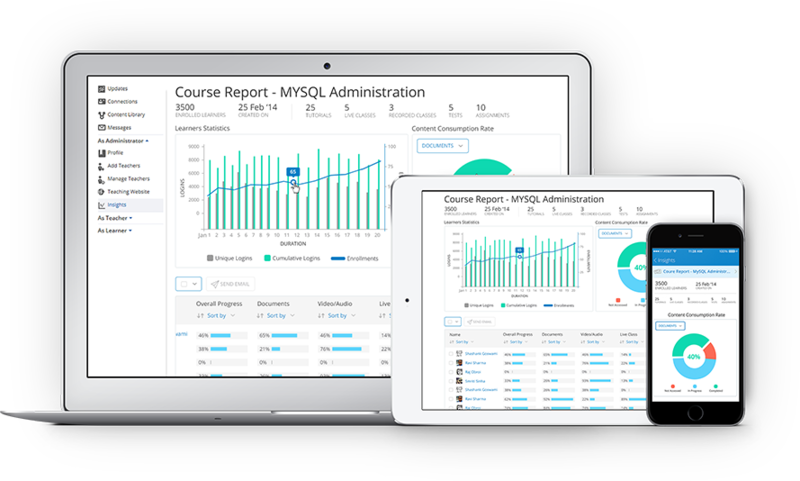 WizIQ provides analytics tools that give you the detailed information you need to continually refine your teaching process and improve learner outcomes. Its seems your are using an old version of browser which is no longer supported.